ZTE AXON Mini 4G Smartphone deal from GearBest. The zte Axon mini features a 5.2 inch Full HD display with a resolution of 1920 x 1080 pixels and runs on android version 5.1 lollipop. It is powered by MSM8939 64bit Octa Core processor with a clock speed of1.5GHz with adreno-405 GPU. In terms of memory, it has a 3gb RAM and an internal storage of 32gb which can be further expanded through the sdcard slot with up to 128gb of storage. This device has a rear camera of 13mega pixel with flash light and a front facing camera of 8mega pixel. It supports dual nano sim in standby mode and 4G LTE network on both Sims. The phone has a fingerprint scanner, eye identification to create new experiences of wakeup function with innovative technique for more security and it also comes with a pretty large 2800mah Lithium-ion Polymer Battery. Even with the whole cool specifications above, the device is currently going for just $149.99 on GearBest. So to purchase one of this at the very affordable price, quickly rush over to GearBest by clicking on this LINK. Where To Buy The Zte Axon Mini!? 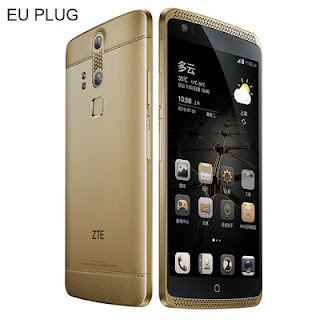 To buy the Zte Axon Mini at just $144.99, just click on this LINK.